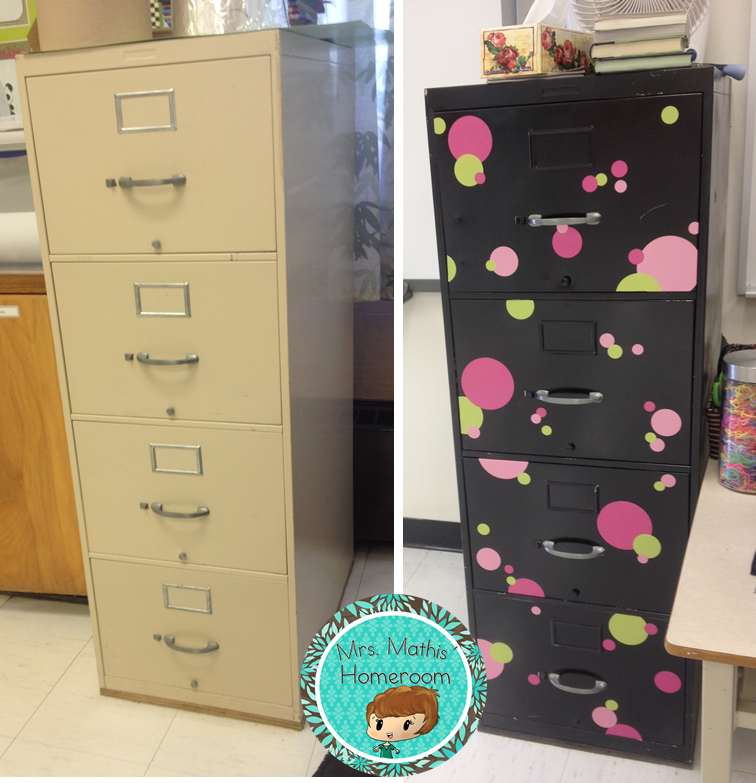 My classroom had these two UGLY filing cabinets. One was bright orange, and let's face it, orange just didn't go with my colour scheme. The other one was beige. Both were very blah snd since I'm known to be a little crafty, I decided to do something about it! 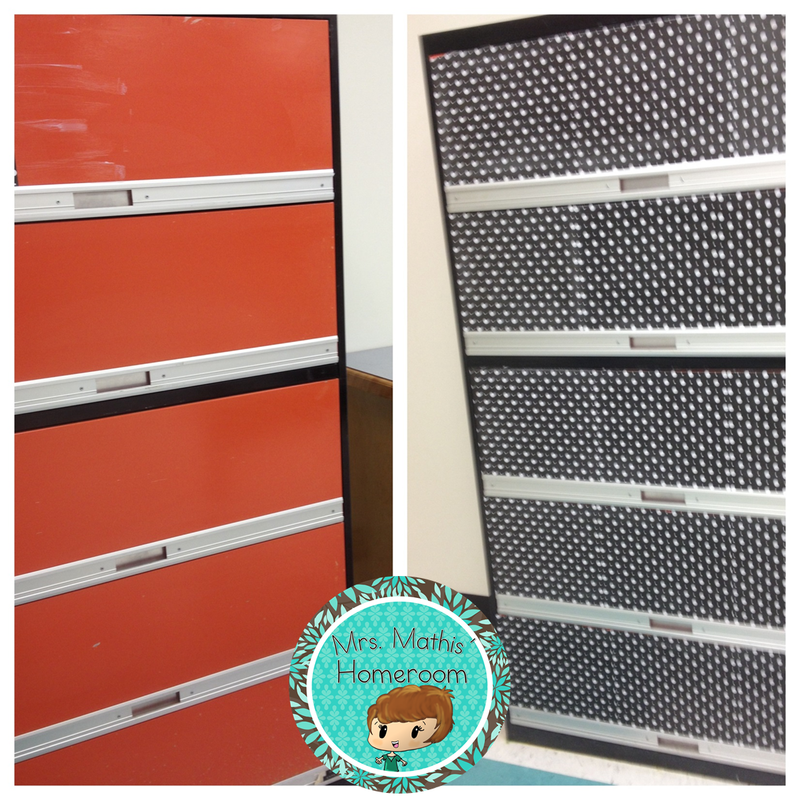 On this filing cabinet, I modpodged scrapbooking paper. It is BY FAR perfect, but it's so much better. This filing cabinet, I decided to paint black. That was a ton of work, but it turned out ok too. The paint scratches easily and to hide the imperfections, I used vinyl rub-ons. It turned out great, didn't? I know about the scratches. I did mine purple with contact paper on the front, and I bumped it moving it back and it scratched the purple...aggravating.